Workplace violence has significantly risen over the past two decades. In 2015, suicide and assaults accounted for approximately 15 percent of work-related occupational injuries. There were 16,380 non-fatal cases of intentional injury which required more than one day away from work. Below are several misconceptions regarding workplace violence. Almost anything can be used as a weapon. It doesn’t have to be a gun that’s smuggled past security. In the movies and on social media, you frequently see that domestic violence usually involves a gun and murder. This usually isn’t the case in the real world. This isn’t true. A violent person can come from any background. The workplace is put into even greater danger when we stereotype as opposed to educating ourselves about odd and suspicious behavior. Believe it or not, most workplace violence isn’t committed by people who have mental health issues. Only 5% of mentally disturbed people are actually violent, and most of them are in psychiatric hospitals or jail. Just because it has never happened at your place of employment before doesn’t mean that it won’t occur in the future. Don’t be paranoid, but rather aware. Realize that it can happen at any workplace and don’t ignore the warning signs. This is generally not the case. There are normally warning signs that signal a potential problem brewing. For example, you may notice ahead of time that someone is angry, obsessed over an individual, acting odd or making threats. 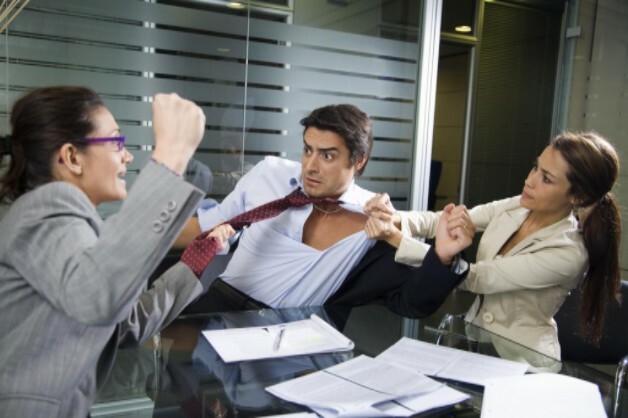 Workplace violence can be dramatically reduced if safe practices are put into place. Be aware of suspicious behavior and report any activity that seems like it could lead to a potential threat.